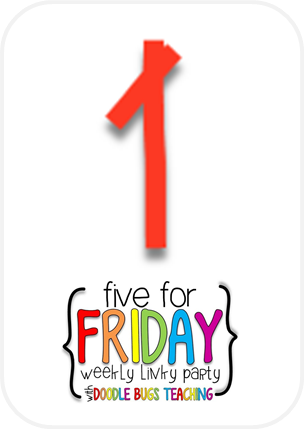 Firstie Favorites: Five for Friday: It's May! 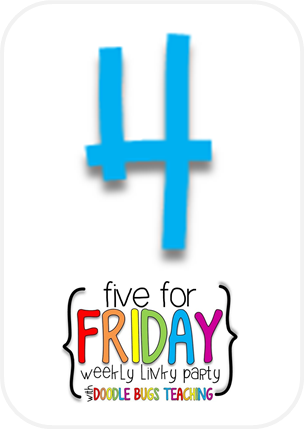 Five for Friday: It's May! Another great, relaxing, sunny Saturday morning! So thankful for lazy Saturday mornings!! Loving my Sara Bareilles Pandora Radio station, steaming cup of coffee (loaded with Hershey's chocolate creamer... oops! ), and it's time to do some blogging! 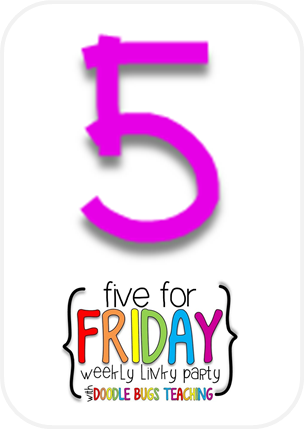 Linking up with Doodlebug's Five for Friday... with 5 great things about my week! 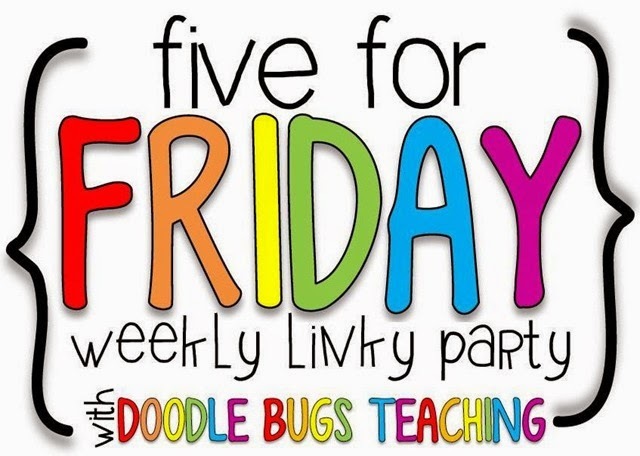 As part of our math workshop, I have been teaching the kids about "MATH FLUENCY." We talk about fluency all the time during Daily 5... rereading texts, practicing sight words, etc. Then, we started talking about how having math fact fluency helps us to be more accurate and faster math thinkers. During math workshop, I have math fact rings for kids to practice while they are waiting for me at the back table to start "teacher time." 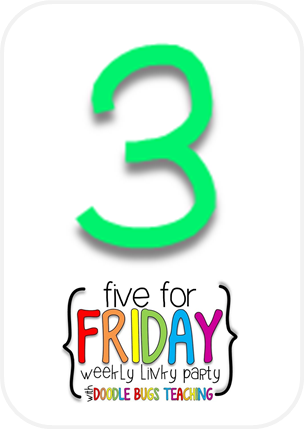 It was a great way for my kiddos to warm up and get their math brains ready. HOWEVER, what I was noticing is that students weren't taking the math fact practice seriously. They would take a ring of math facts and casually flip through them, look at the answers, and I don't think that they were really even looking at the math facts. THEN, I realized, WELL, DUH.... 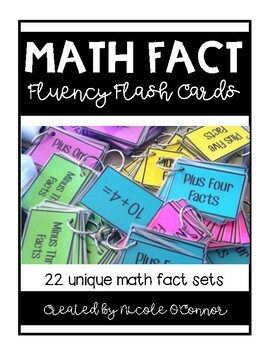 I never modeled how to correctly practice math fact fluency cards. We had talked about why they were important, but we NEVER talked about the correct way to practice. We stopped math workshop mid-rotation right then because I could not let this go on any longer... and it wasn't their fault... it was TOTALLY mine! Updated the set in my TPT store... now with 23 different fact sets!! Check it out here! Back in February, I posted about how I send home books with students each week from the website, readinga-z.com. Here's my previous post about book organization and parent communication about the student's reading at home. This week, I put together some new books to send home... my kids have been flying through the ones that I previously made!! Time consuming project... printing the pages, copying the covers on colorful cardstock, laminating the covers, binding them... but so worth it! When my kids came back from music and saw the new stack of books, they all wanted them NOW! My kiddos have been practicing like crazy for their spring music concert with our fabulous music teacher. 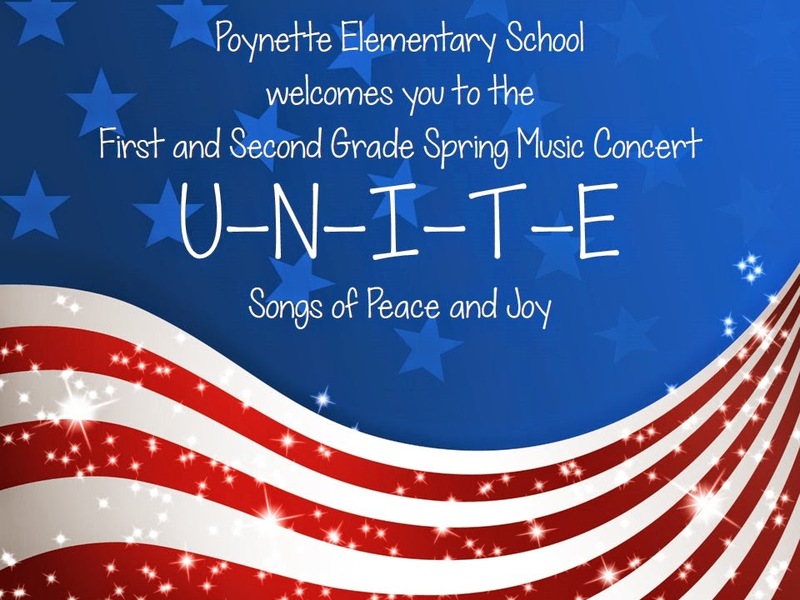 The theme for the concert is U-N-I-T-E, Songs of Peace and Joy. I absolutely love one of their songs... "This Is My Wish." Brings tears to my eyes when I hear their little voices singing this! I am creating the slideshow to accompany the performance... here's a sneak peek! We are finishing up our poetry books!! Just have to make the "About the Poet" page and decorate the covers of our books. My kids can't wait to take them home and show them to their families! We loved writing poetry. Unfortunately, I don't have any new pictures of the kids' writing... I'll have to update next week, when their books are completely finished. Check out our poetry unit in my TPT Store... The Ultimate Poetry Writing Unit for K - 1 -2. 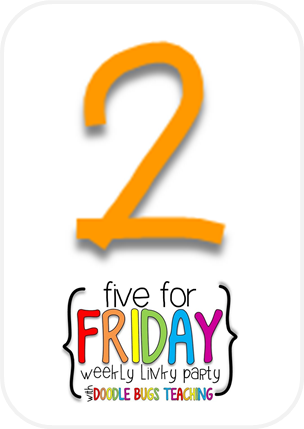 Grab TWO freebies from my poetry unit in this previous post, We LOVE Poetry!!! Love when kids come to school with kind words that they wrote for you at home!! Warms my heart... this is why I do this!! Did you bind your books at staples? How is it the end of MAY already? ?